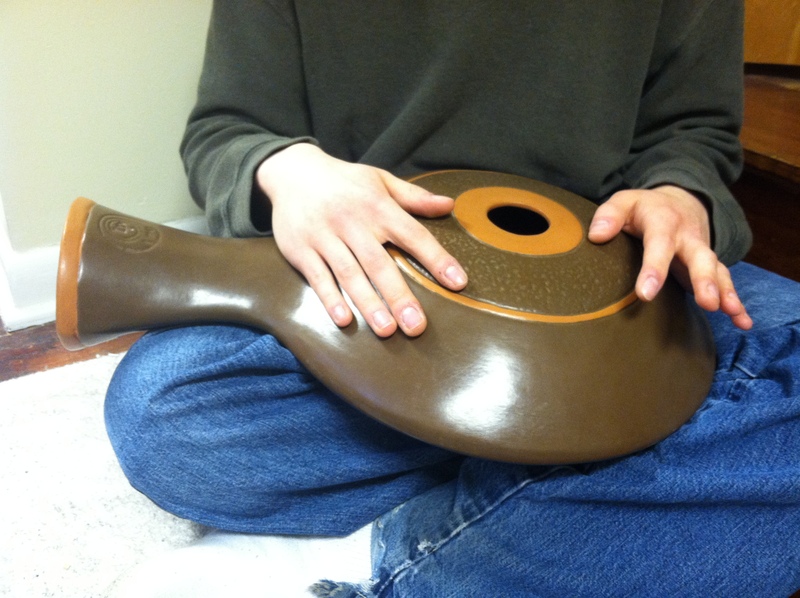 The Udu drum is another favorite percussion instrument of mine. It comes in all shapes and sizes, and I really enjoy the variety of sounds it can make and the many applications for those sounds in different musical settings. Originally a Nigerian instrument, I have also heard it played in a Latin music setting as part of a Jazziz Magazine CD, gently providing a groove for an acoustic guitar and female singer. 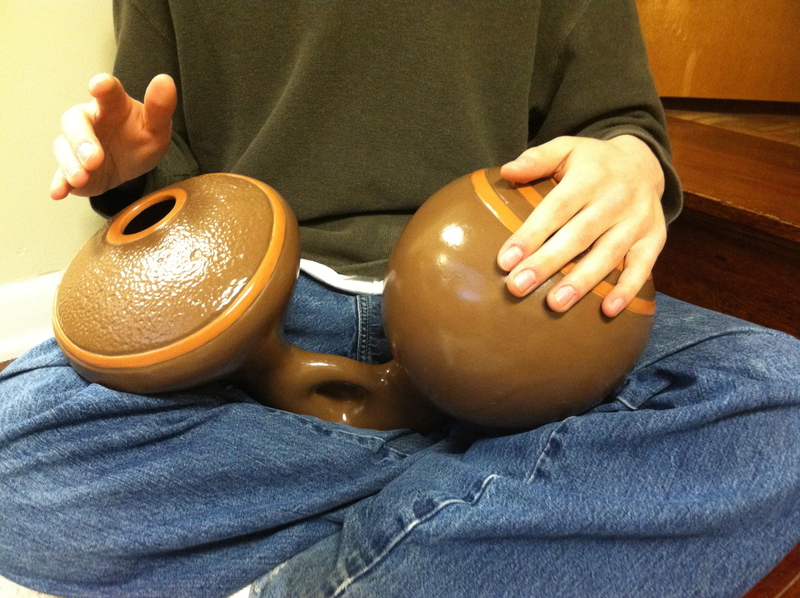 The Udu drum is a unique combination of an idiophone (opposite of a smartphone, try to keep up) and an aerophone. The sound comes from hitting the exterior (usually made of clay) and controlling the air within the resonating chamber(s) by covering or uncovering either of its two characteristic holes. It looks like a water jug/pot with an extra hole in the side (“Udu” translates to “pot” in the Igbo language, I’m told). Because of the overall teardrop shape of this instrument, the Helmholtz principle of acoustics kicks in and produces a deep low earthy sound when one of its holes are hit and covered by your hand, (forcing the air into the resonating chamber, and out thru the open hole) with the ability to bend the pitch up from there as you release your hand. How low does it go? The larger the resonating chamber, the lower the pitch, and believe me these things could easily pass for an 808/bass drop effect! The way I use Udu drums in my music varies depending on which kind(s) I believe would fit best with the piece. I am working on a piece now called “Footprints” which features all three Udus playing back and forth and “complimenting” each other’s rhythms and pitches to make it sound like its played all on one instrument. 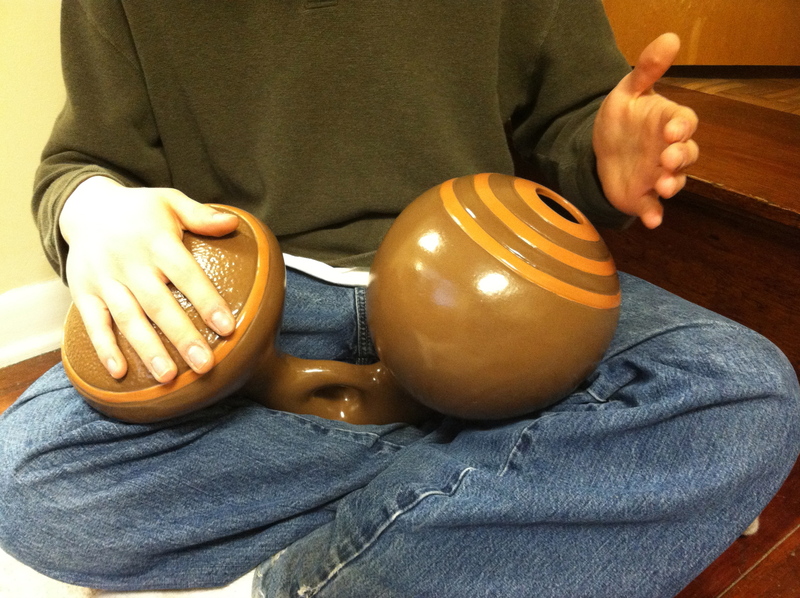 After that, the piece develops and picks up speed which calls for an adaptation of Indian tabla techniques to be played on the Udus – first on one drum, then doubled on another, and then switched up a bit to bring in the third Udu for a more straight-ahead groove to bring the piece to a fiery close. A demo with scratch tracks was previously released of this piece, but I have reworked much of it with only a bit more to go at this point. Look for the final version soon! In “Ceramics,” I used the Udu pictured below to bring in some low-end to support the tuned flower pots, shekere, tambourine, and melodic HAPI Drums for much of the middle section. …as well as little subtle parts in many other pieces across both albums – bonus points for recognizing those too! This entry was posted in Blog and tagged Africa, blog, music, Percussion, Tabla, Technique, Udu, Udu Drum. My favorite was the “Ceramics” piece. Amazing the bass tones. I would have expected an instrument much larger in size. I have to admit I’ve never seen or heard before “tuned flower pots”, and just saw some tuned with water. Amazing stuff. You’re the “MacGyver” of musical sounds. 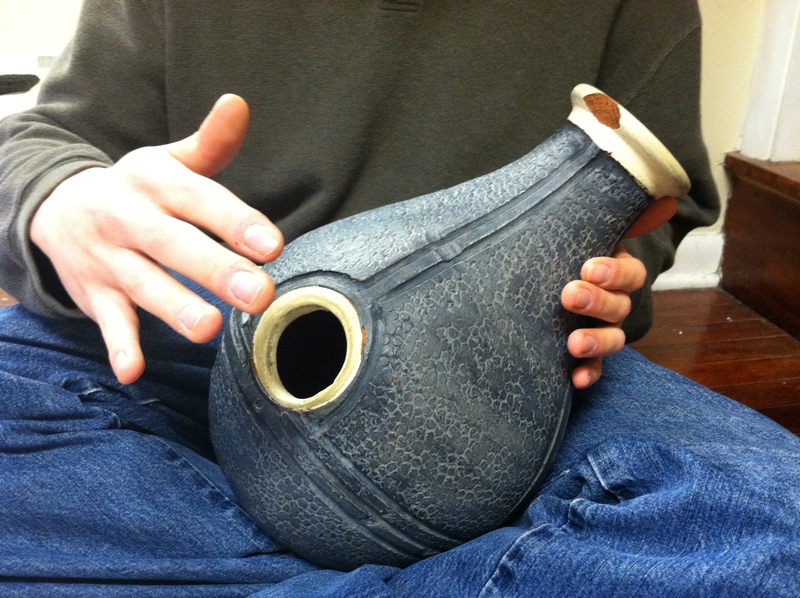 Awesome post about the Udu drum by Jeff Willet! Thanks Jim & Jen! Glad you enjoyed “Ceramics” – that was a fun piece to put together 🙂 Good comment on the low tones – you would definitely expect a much larger instrument (I’ve thought the same thing). I just love this post! Do You Udu? JeffWilletMusic ftw!